Looking for an afterschool activity on Monday or Friday afternoons in November and December? 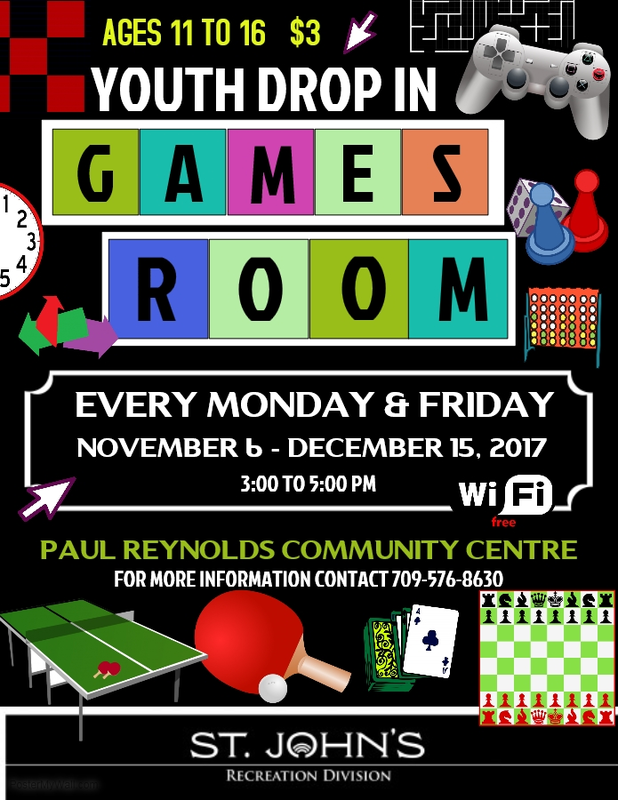 Check out the Youth Drop In program at the Paul Reynolds Community Centre. Only $3.00!